Whether pumpkin spice lattes, candy corn, or a little Hocus Pocus gets you in the mood for the upcoming Fall season, we’ve got the run-down on all things regarding Orlando Fall Festivities. 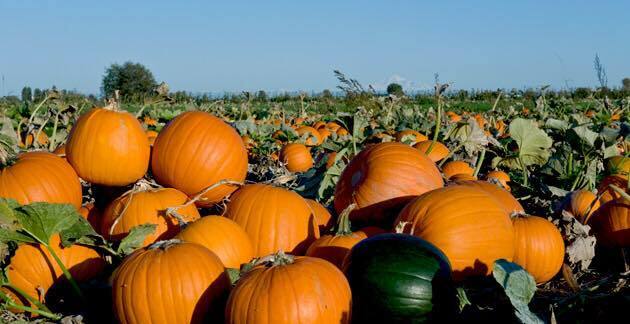 If you’re looking for FAMILY-FRIENDLY-FUN here’s a list of the best local corn mazes, pumpkin patches, Fall events in Orlando, and MUCH MORE. Just twenty minutes from Downtown Orlando, Jack's Corn Maze and Pumpkin Patch Grand Opening event starts Friday, October 5th, 2018. This family-friendly farm is open Friday-Sunday during the month of October and ends November 4th. They offer a 5.6 acre corn maze, hay rides, pony rides (from the Wild Horse Rescue Center), face-painting, music, food trucks, kids games, bounce houses, AND for the adults BEER & WINE. Located at 16813 Schofield Rd. Clermont, Florida. This family-owned farm is putting a spin on the typical, "corn maze." 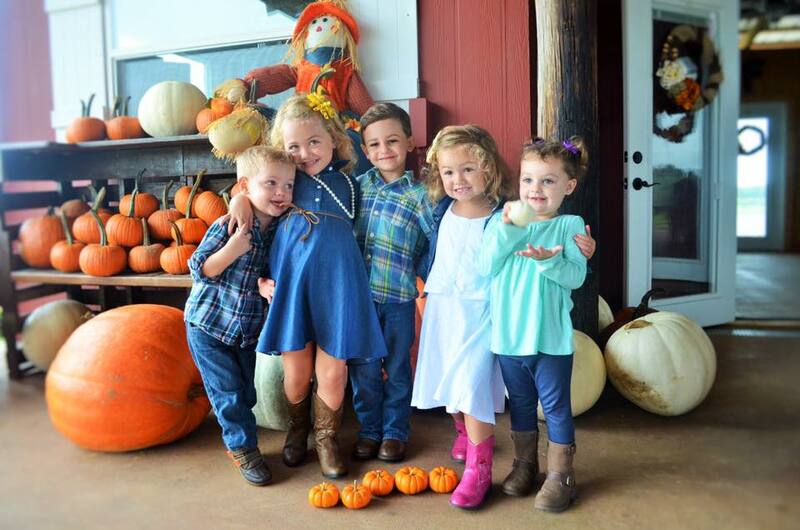 Southern Hill Farm is a blueberry farm that offers all of the same fall activities that the kiddos will enjoy such as a petting zoo, rock wall, face painting, bounce houses, and an inflatable double lane slide. Local craft beer, wine, and mimosas are available for purchase, from 11:00 am to 7:45 pm. Aside from the popular "Red Hot And Boom" event, Halloween at Crane's Roost Park is the biggest family-friendly event in Uptown Altamonte. On October 31st, from 5:00 p.m. – 9:00 p.m. this community event is perfect for children who LOVE candy! 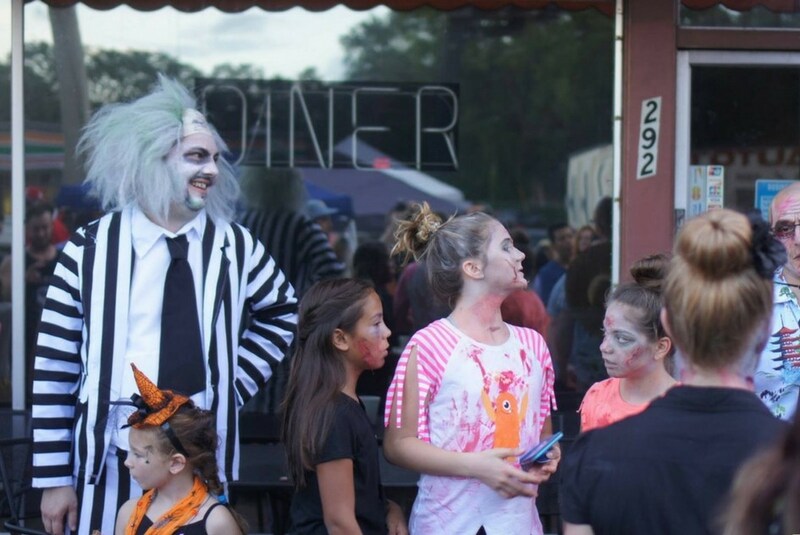 Enjoy trick-or-treating, live music, costume contests, and kids’ games. Downtown Orlando’s Lake Eola is best known for their community events and this Fall Fiesta is no exception. November 3rd & 4th the City of Beautiful is putting together an event featuring over 300 artists showing off their work all around Lake Eola. This day-time event runs from 10:00 a.m. – 5:00 p.m. and you will have the opportunity to enjoy all of the entertainment surrounding you, including a FREE kid’s zone at the corner of Robinson and Eola. This event HAS to be an absolute HIT because it’s their 10th annual Zombietoberfest! Along with a free outdoor movie, costume contest, live music, and local food trucks, their Facebook Event Page boasts not ONE, but TWO craft beer gardens. Join the festivities on October 6th from 5:00 p.m. – 10:00 p.m.
Take a stroll through Winter Park’s Park Avenue while taking part in the 45th annual Autumn Art Festival. Brought to you by the Winter Park Chamber of Commerce, this community event is the perfect family outing. From October 13th-14th from 9:00 a.m. – 5:00 p.m. support talented artists and enjoy live entertainment. 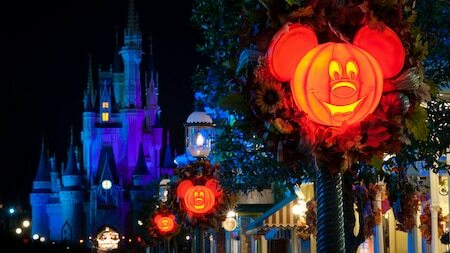 If your kid(s) can’t get enough of Disney and you don’t mind spending a little extra money on Halloween spirit by taking the kiddo(s) to Walt Disney’s Magic Kingdom. Known as the “Happiest Haunting on Earth,” your family can take part in meeting your favorite Disney characters dressed in Halloween costumes that you wouldn’t normally see them; such as Donald and Daisy Duck dressed as a Prince and Princess. Also, explore Disney while your little one(s) gets to trick-or-treat throughout the ENTIRE park! Just as a suggestion, you might want to make the most out of your money by picking a date prior to Halloween because prices are cheaper (Local Pro Tip). If you're looking into more Fall events in Orlando this year be sure to visit 407area. Your free guide to what's happening in your area.